-- When an old friend invites her to help renovate a bar in a posh resort town, single gal Christine immediately agrees, anticipating two blissful weeks of sun, cocktails, and gorgeous men. Her excitement is short-lived, however, thanks in no small part to her overbearing mother and one heavy-handed guilt trip. 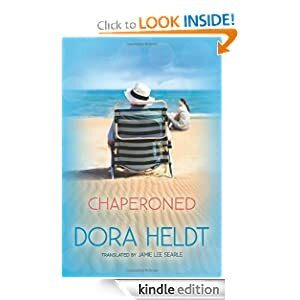 Now, for the first time in nearly thirty years, Christine and her best friend Dorothea find themselves saddled with an unexpected chaperone: Christine’s father, Heinz. The trip is a catastrophe from the get-go. For starters, Heinz insists on taking charge of the bar’s overhaul. And when he learns that the locals are hunting for an escaped con artist, he promptly joins the investigation. At the top of his suspect list? Johann, the handsome, mysterious traveler who makes Christine go weak at the knees. But just when she thinks she can’t take one more day of his “father knows best” routine, Christine makes a poignant realization that will forever change the way she looks at Heinz. Sparkling with humor, this delightful novel, which spent over one hundred weeks on Germany’s bestseller list, captures the unique—and occasionally exasperating—bond between fathers and daughters. Chaperoned or to sample this book for FREE! For Titus and his friends, it started out like any ordinary trip to the moon - a chance to party during spring break and play with some stupid low-grav at the Ricochet Lounge. But that was before the crazy hacker caused all their feeds to malfunction, sending them to the hospital to lie around with nothing inside their heads for days. And it was before Titus met Violet, a beautiful, brainy teenage girl who has decided to fight the feed and its omnipresent ability to categorize human thoughts and desires. Following in the footsteps of George Orwell, Anthony Burgess, and Kurt Vonnegut Jr., M. T. Anderson has created a not-so-brave new world — and a smart, savage satire that has captivated readers with its view of an imagined future that veers unnervingly close to the here and now. 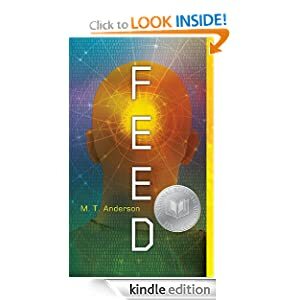 Feed or to sample this book for FREE! -- What's a girl to do all alone with a rodeo cowboy for 1 month in the Wyoming wilderness? To everyone else, Melanie's offer seems like the answer to all his prayers. But one look at her long legs and pouting lips and Stoney knows this high society gal is going to be nothing but trouble...for his cowboy heart. Nothing But Trouble or to sample this book for FREE! 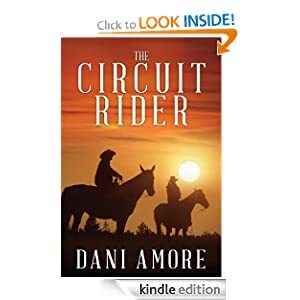 -- From award-winning and international bestselling author Dani Amore comes The Circuit Rider, a fast-paced, action-packed serialized Western. In a wild land full of lawlessness and sin rides Mike Tower, a traveling preacher known as a Circuit Rider. Circuit Riders travel from town to town, offering their services to those in need. Tower is a man of mystery, utterly fearless though he carries no gun. As he sets out on this latest circuit, is he riding toward a new beginning, or running away from a former haunted life? Bird Hitchcock, a woman known for her skill with a gun and love of the bottle, has taken the job of protecting Mike Tower on his journey to the West. Yet as she and Tower ride, they quickly find themselves on the hunt for an elusive killer who is brutally murdering women. Protecting Tower seems less and less important as Hitchcock discovers a link between her past and the murderer – will she finally get a chance to exact revenge and find redemption? NOTE: This book is a Kindle Serial. Kindle Serials are stories published in episodes, with future episodes delivered at no additional cost. This serial currently contains one episode out of an estimated six total episodes, and new episodes will be delivered every month. The Circuit Rider or to sample this book for FREE!